Last weekend I was in London for a couple of days as we had tickets to see Pete Tong at the O2 (which was amazing!) and whilst in town we spent a couple of hours shopping. 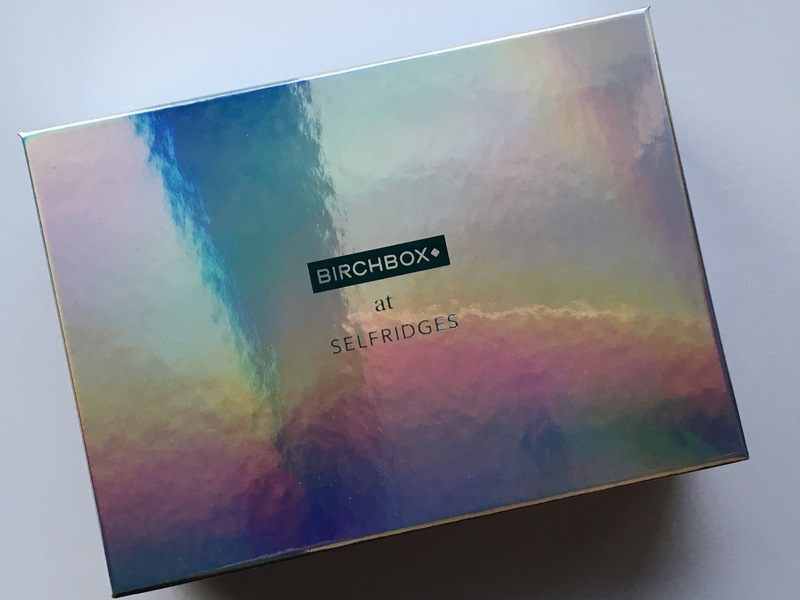 First stop was on of my favourite department stores – Selfridges and whilst exploring the beauty department, I came across the ‘Build your own Birchbox’ stand. Well, I couldn’t resist…! 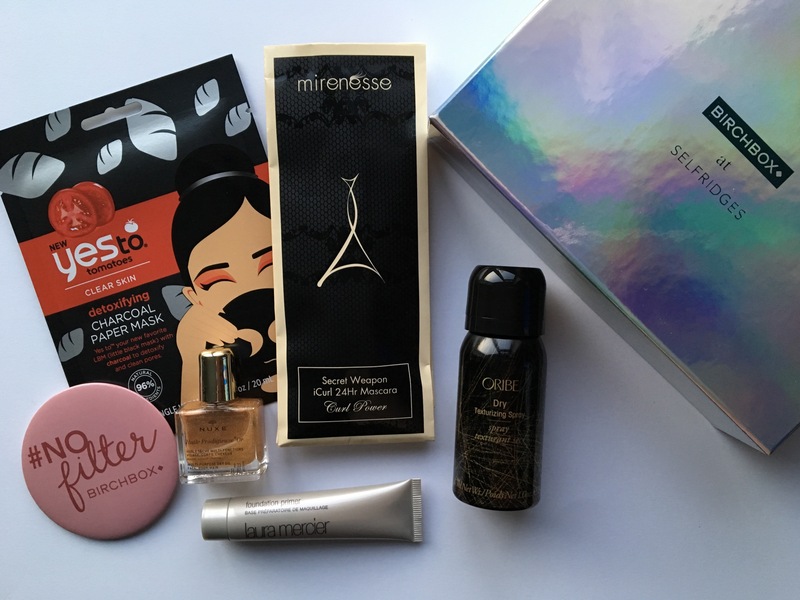 After choosing a birchbox box colour – light blue or metallic along with letter stickers to be able to personalise your box with your name, you are then able to walk around the stand picking up samples from each category. For a £15, you are able to pick 2x makeup samples and one sample of haircare, bodycare and skincare plus a beauty bonus. For my samples, I picked up; Laura Mercier Foundation Primer, Oribe Dry Texturizing Spray, Nuxe Multi-Purpose Dry Oil, Yes To Charcoal Paper Mask and Mirenesse Secret Weapon iCurl 24Hr Mascara. And for my beauty bonus, I picked up a #Nofilter Birchbox mirror – perfect for keeping in your handbag. I was really excited to find samples of Oribe Dry Texturizing Spray and the Yes To face mask as I’ve heard a lot of good things about these products. 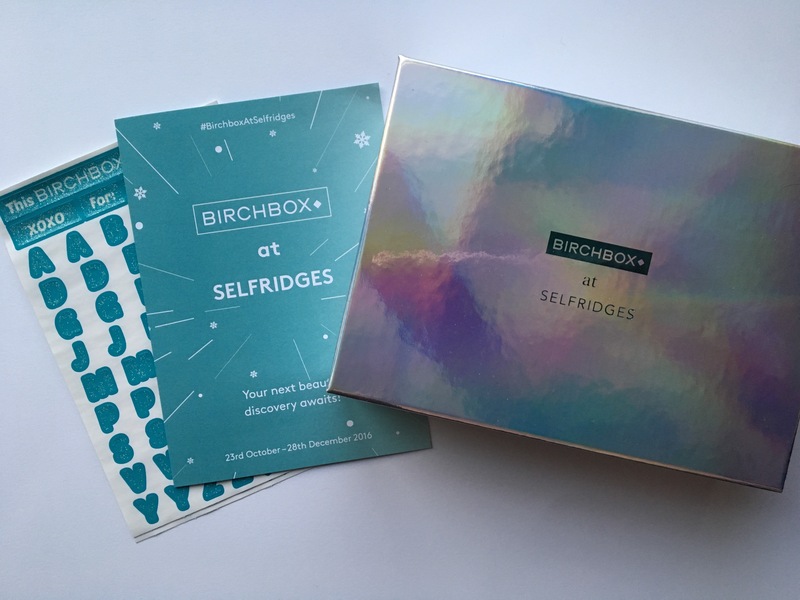 Birchbox are offering this service at Selfridge will 28th December. 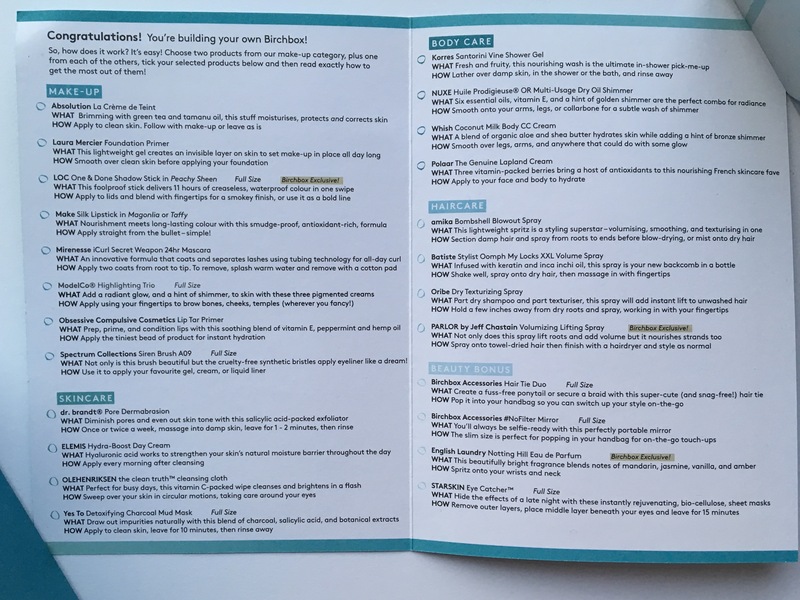 So if you find yourselves in Selfridge whilst out doing your Christmas shopping, why not treat yourself to your own Birchbox? It’s a great introduction into the world of Birchbox if you haven’t subscribed to their service yet. Have you built your own Birchbox yet at Selfridges? What samples did you select?